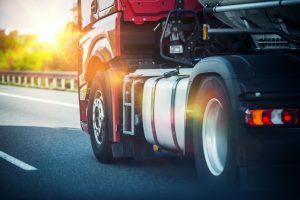 In 2016, nearly 4,000 Americans died in collisions involving large trucks. Current law allows 28′ trailers to be hauled in tandem. But certain forces in the trucking industry, however, want to go to 33 foot trailers or “Twin 33’s” in all states — adding approximately 18% more capacity to tandem trailers. “Twin 33’s” are prohibited under the U.S. trucking regulations which have been in place since 1982. So what’s the problem? The primary objection to “Twin 33’s” has always been safety. U.S. Department of Transportation finds, consistently, that longer stopping distances are required for larger trucks. Consider the wind forces when passing a “Twin 33’s” – especially if the truck is lightly loaded. Not to mention that the larger trucks are harder on America’s deteriorating highways and roadways. In fact, in 2017, Truckload Carriers of America, representing a 310 billion truckload sector, argued that the use of 53′ single trailers was the way to go. With a 53′ single trailer, the TCA contends there is no operational need for twin 33’s. John Lyboldt, President of the TCA, finds “the trucking industry is deeply divided over this issue.” Opposition from truckload carriers, unions, railroad and safety groups has consistently derailed the adoption of the twin 33’s for the past two (2) decades. But the issue is resurfacing. Yet some argue that longer trucks would reduce the number of trucks in operation and make highways safer and less congested. The American Trucking Association estimates that America has a truck driver shortage of approximately 60,000 drivers. Studies show that active truck drivers on average are 49 years old, as opposed to the rest of the US work force which is 42 years old. They also argue that longer tandem trailers will reduce America’s truck driver shortage.